My sister made these muffins a while back for a cross country runner at Oklahoma State University. Unfortunately I was in Washington D.C., so I did not get to try these decadent looking muffins, but I heard they were excellent. These fruit-filled muffins come from one of my new favorite cookbooks called The Sono Baking Company Cookbook by John Barricelli. They offer both a crisp top and a tender, buttery inside infused with a hint of lemon. You can use cranberries instead of blueberries as a substitute. Serve warm with a drizzle of honey or a pat of butter. Enjoy! 1. Set the oven rack in the middle position. Preheat the oven to 375 degrees F. Spray a standard 12-cup muffin pan with nonstick cooking spray, or generously with softened butter; set aside. 2. In a medium bowl, whisk together the 2 cups of flour, the baking powder, and baking soda; set aside. Toss the blueberries in a sieve with the remaining 1 tablespoon flour; set aside. 3. In the bowl of a standing mixer fitted with the paddle attachment, beat the butter, sugar, and salt on medium-high speed until light and fluffy, 3 to 4 minutes, scraping down the sides of the bowl halfway through. Add the eggs one at a time, beating after each addition. Beat in the vanilla and lemon zest. 4. With the mixer on low speed, add the dry ingredients, beating just until the flour is absorbed. Add the sour cream, beating until combined. Gently fold in the blueberries with a rubber spatula. 5. Use a 2-inch (1/4 cup) ice cream scoop to divide the batter evenly among the prepared muffin cups. Sprinkle with the sanding sugar. 6. Bake, rotating the pan about two-thirds of the way through the baking time, until the tops of the muffins spring back when touched and a cake tester inserted in the center of a muffin comes out clean, 20 to 25 minutes. 7. Transfer the pan to a wire rack to cool for 10 minutes. Use an offset spatula or table knife to gently lift and turn the muffins on their sides in the muffin cups. Let cool completely in the pan. 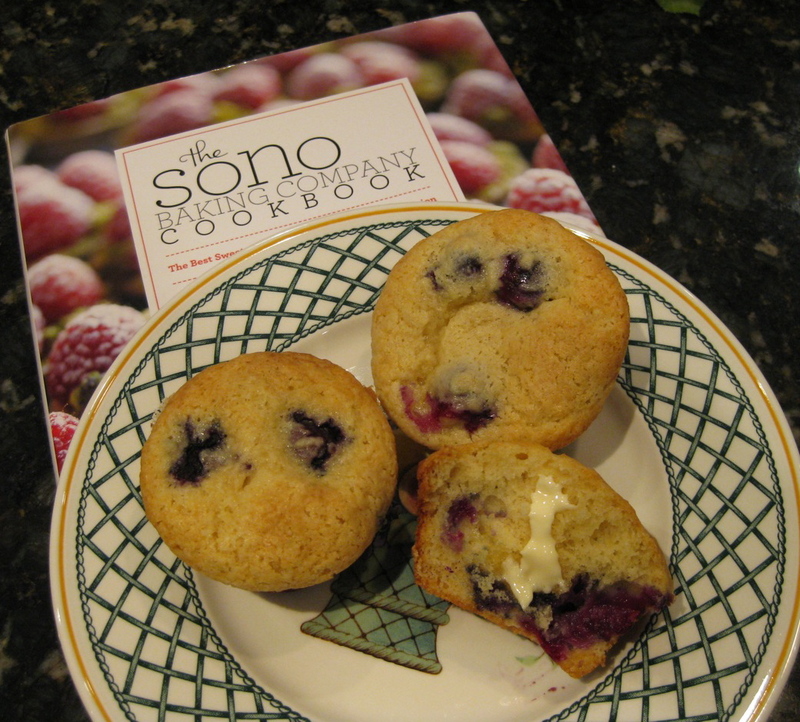 2 Responses to "Blueberry Sour Cream Muffins"
I’ve made these muffins a number of times and they are my favorite blueberry muffin recipe. I add about 1/2 teaspoon of cardamom and that is my only change. They are crazy good.